In 1966 I left graduate school to become an officer in the U.S. Air Force. In 1969 I was assigned to be a section leader as a combat security officer at Binh Thuy Air Base in Vietnam. During and after my tour of duty there, I either participated in, witnessed, or heard the testimonies of other military personnel about behavior of our military forces in Vietnam that sickened me. After my discharge in 1970 as a Captain, I completed law school and became a member of the District of Columbia Bar. As I pondered Vietnam in my new profession, I realized that, in a massive way, we had participated in the violations of many international laws, including the Hague Convention of 1907, the Geneva Convention of 1949, the Nuremberg Principles of 1946/1950, the United Nations Charter, among others. The common torture, mutilation and murder of prisoners and civilians, the destruction of thousands of huts and villages, coastal and aerial bombardment of civilian targets, defoliation and destruction of crops and massive land areas, the forced transfer of much of the population into "strategic hamlets," the use of forbidden gas and chemicals, the seizure and destruction of medical resources, among other behaviors, were all violations of international law and fundamental standards of decency and fair rules. Though for many years the memories and thoughts of Vietnam began to fade, they became revived in the 1980s as I began to learn more about our policies in El Salvador, Guatemala, and Nicaragua. I began to be interested in studying the Nuremberg Trials and the Principles that grew out of those Tribunals. My uncle had been a young military officer serving with the U.S. prosecution team at Nuremberg under the chief U.S. prosecutor there, Justice Robert H. Jackson, who took leave from the Supreme Court to be in charge of U.S. interests at Nuremberg. Jackson had grown up in the Jamestown, N.Y. area, a few miles from my hometown, providing me with more than a passing interest in his role, both at Nuremberg and on the Supreme Court. Upon signing the London Agreement creating the basis for and existence of the International Military Tribunal, Jackson stated: "For the first time, four of the most powerful nations [U.S., France, Great Britain, Soviet Union] have agreed not only upon the principle of liability for war crimes of persecution, but also upon the principle of individual responsibility for the crime of attacking international peace" (Jackson, Statement of Chief Counsel Upon Signing of the Agreement, 19 Temp. L.Q. 169 [1945-6]). As it seemed more clear from my readings, and separately, from conversations with people returning from Central America, I became alarmed that again I was aware of potential or actual violations of international law by my own government’s policies. At the end of 1985, I resigned as director of a Vietnam Veterans Outreach Center and traveled to Nicaragua to experience the effects of the monies appropriated by this Congress for the Contras fighting the sovereign elected government and people of Nicaragua. I found that the Contras regularly attack and destroy civilian targets such as health clinics, schools and farms, and torture and murder many of the civilians. During my first and three subsequent trips to Nicaragua I continued to witness the aftermath of Contra atrocities and I was shockingly reminded of the war crimes we had committed in Vietnam. I wondered whether we learned from Vietnam? I wondered about the Nuremberg Principles. If my own government was to violate international law, domestic laws and our own Constitution, what responsibility do I have in upholding the law? WE THE PEOPLE remain the basis of and authority for our government. This is called "popular sovereignty." If the government of the people no longer complies with its own laws, and no branch or institution of that government is able or willing to assure compliance, then the people who form the basis of and authority for the government must, in fact, take whatever reasonable action is necessary to stop those violations and restore integrity of the government and collective life in the society. The killing of civilians and their children and the destruction of civilian targets is illegal and immoral. Furthermore, the intervention into the sovereignty of another nation violates numerous international laws including the charters of the United Nations and the Organization of American States. The Concord, CA Naval Weapons Stations is (one of) the largest munitions depots on the West Coast of the United States. It has been the source of deployment of military munitions during World War II, Korea, Vietnam, and now Central America, among other military theaters. It also stores nuclear weapons. CNWS has been the site of citizen opposition to the movement of its munitions during the Vietnam War. Marches, lengthy vigils, and frequent blocking of trucks and trains carrying munitions occurred throughout the period of the war. In the1980s, there have been demonstrations protesting the presence of nuclear weapons, and the movement of munitions to Central America. It has been reported that the most violent harassment on the West Coast against anti-Vietnam War protesters occurred at CNWS. In the spring of 1987, having returned from trips to Nicaragua, Honduras, and earlier from El Salvador, I was in deep anguish over the number of amputees I had met as a result of the wars, most of them civilians, and the number of deaths I had observed, also mostly of civilians. Most of these deaths and amputations had occurred due to the actions of the U.S.-financed Contras in Nicaragua and Honduras, and the death squads in El Salvador. Most of the death squads in El Salvador have been shown to come from the police or army, both funded with U.S. dollars. Meeting with a few friends committed to nonviolently resisting the U.S. militarization of the Central American region, we decided to revive the historic Bay Area focus on the role of CNWS in killing of civilians in violation of international, domestic and Constitutional Law. We had copy of a contract with the Government of El Salvador procured through the Freedom of Information Act disclosing a number of bombs, white phosphorous rockets, and other munitions having been shipped from CNWS in June 1985. I had learned of substantial bombings of El Salvadoran civilians while in El Salvador and an item in the July 1987 Harper’s magazine indicated that 230 El Salvadoran villages had been bombed or strafed by the Salvadoran Air Force in 1986. Furthermore, I had spent time with Eugene Hasenfus while he was incarcerated in Nicaragua and learned of the air drop routes of U.S. military supplies from bases in El Salvador to their ultimate destination to Contras in Nicaragua. We had plenty of reason to ask that the CNWS exercise their duty to uphold the law and refrain from any further shipment of munitions directed toward Central America where thousands of civilians were being maimed and murdered. We were committed to a sustained presence at CNWS, using nonviolent attitudes and actions in making our case that the movement of the munitions was in furtherance of the violations of International, domestic and Constitutional Law in the killing and maiming of civilians in Central America and the invasion of sovereignty of nations. r of the World Court. In effect, we decided to invoke the Nuremberg Principles which imposes a duty upon all citizens, whether civilian or military or other government employees, to uphold the law. Furthermore, under Nuremberg, complicity continues the crime and the citizen has a duty to make known the violations of law committed by his or her government and to do everything reasonable to stop those violations from continuing–even when ordered otherwise by a superior. We desired to uphold the law. Utilizing the philosophy of nonviolence, we believe in open communications with all people, including officials, about our activities. We believe in not directing any ill will toward any persons, no matter what the circumstances. We detest the violent actions of people, but express our respect and love for the soul and humanity of every person. We believe that we must never inflict violence on another person, but, instead, will receive their violence in the process of seeking transformation of the violent heart. We believe in active nonviolence where we must place our bodies between the bombs and their intended victims elsewhere. We developed a "Covenant of Nonviolence: Nuremberg Actions–Concord." We began our sustained presence on June 10, 1987, and everyone who desired to participate was required to experience several hours of nonviolent training. Participation at CNWS consisted in vigiling, blocking trucks, and providing various support services for the vigilers and blockers. The presence continued throughout the summer, always at the same location on the Port Chicago side of the public highway in the area where the munitions trains cross the highway from the Weapons Station. There was nearly always one or more, sometimes a couple of dozen, persons present during daylight hours from June 10 to September 1. Occasionally participants in the Nuremberg Actions would place their bodies in front of munitions trucks. Each participant would have previously received nonviolent training. The main gate personnel would have been notified in advance of the plan, consistent with our philosophy of open communication. The blockers would either be arrested or moved out of the way by law enforcement officers. On one occasion, a lone individual apparently did stand on the tracks in view of a moving munitions train. The train stopped before striking the individual. The individual was removed. I decided during the summer that I would escalate my own participation in Nuremberg Actions by commencing a 40-day water-only fast on September 1, 1987. This would be conducted on the railroad tracks themselves in an attempt to block movement of munitions trains every day for that 40-day period. Others were invited to join and several persons agreed to participate. September 1 was the one-year anniversary of the Veterans Fast For Life that I had participated in on the Capitol steps in Washington, D.C. Duncan Murphy, a World War II veteran participant in the 1986 fast, also agreed to be part of the 40-day fast on the tracks. We would fast on the tracks adjacent to the location where the Nuremberg presence had occurred since June 10. No surprise locations were desired. We had examined the history of people blocking trains and had concluded that certainly they would stop if notified in advance of our action. We had looked at pictures of other train blockades and the trains always had stopped. In preparing for the 40-day water-only fast I volunteered for a physical examination with a medical doctor who in turn was planning to monitor my condition throughout the fast to warn me of any complications that might arise suggesting I prematurely end the fast. I also expected to spend some or most of the 40 days in jail and had briefed the doctor on my need for potassium supplements during the fast to protect nutrition of the heart and asked that he talk to the jailers about the importance of my receiving these supplements. The plan to fast on the tracks was freely discussed with many people and on August 21, 1987, I sent a letter to Commander Lonnie Cagle of CNWS, explaining in detail the nature and philosophy of the September 1 plans that would last for at least 40 days. Copies of that letter were sent to the Contra Costa Sheriff, the Concord Police Department, the California Highway Patrol, and a number of other elected officials, including Rep. Boxer and Miller of this panel today. On Friday, August 28, 1987, the Contra Costa Times printed an article on page 5A, "Peace Group Sets Arms Blockade: Will Block Weapons Hauls At Concord Naval Station" where it is reported that we are "expected to start blocking trains Tuesday morning" (Sept. 1). The Contra Costa Times is the daily newspaper of the area in which the CNWS is located. On September 1 we planned a worship service on the tracks prior to a press conference announcing the formal launching of the fast and the train blockades. Having never been arrested or jailed before, I was a bit anxious. I was concerned about the fact that as the fast progressed, I might be hurt in the arresting process by officers removing me from the tracks repeatedly. 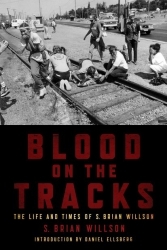 Fasting on the Capitol steps seemed easy in comparison to fasting on tracks attempting to block munitions trains subjecting myself to continual arrests. On the morning of Tuesday, September 1, Holley, my wife, and Gabriel, my stepson, drove to CNWS with fellow faster Duncan Murphy and another friend in time for the worship service we had planned. Shortly after arrival, standing at the location of the summer-long Nuremberg Actions and near where the fast on the tracks was to begin in about an hour and a half, I remembered seeing my friend Michael Kroll drive up to be part of the morning events. Two photographer friends and a videographer friend were present to record the worship service, press conference, blocking action and anticipated arrests. Gabriel was going to witness his stepdad’s first likely arrest. I greeted Michael Kroll as he arrived at our site after parking his car. The next thing I remember is hearing a male voice speaking into my right ear saying: "You are in the John Muir Hospital in Walnut Creek and you were run over by the train." It was several days later now and I remember thinking, "You must be kidding. They wouldn’t run over me." I have what the doctors call regional amnesia. Though I’m told that I was conscious the entire time prior to and after being struck by the train except for the time in the hospital under anesthesia during surgery, I have no memory of an approximate two-day period. Though receiving a serious blow to the head, I suffer from no brain damage. I will need a subsequent operation to place a protective material over the hole in my skull to safeguard the brain from further potential penetrations in the area of the current skull opening. My left ear was severed but was replaced during surgery. My right shoulder blade and right wrist were cracked. My right kidney was severely bruised. I experienced many skin lacerations and bruises. As you know both my legs were amputated below the knee, requiring me to learn to walk on artificial legs, or prostheses. The biggest challenge is learning to walk safely. assistance awaiting arrival of a county ambulance. I remain ever more committed in my resolve to wage unconditional peace, nonviolently, with my life. There is no higher value or goal than peace with justice for all of humanity. Being a citizen of the United States, aware of the tremendous number of lives being maimed and murdered, or threatened with same, places a duty upon me to uphold not only international law, but fundamental standards of justice and fairness required by our tradition and Constitution. I choose to be a citizen promoting decency and not barbarity, lawfulness and not lawlessness, and dignified and not diabolical behavior. 1. Nonviolent resistance and dissent are a traditional method for expressing outrage and opposition to illegal and immoral governmental policies in the United States. Dissent is a cherished right. 2. The United States is violating a number of international and domestic laws and Constitutional provisions in its militarization of Central America–funding the equivalent of terrorism with the Contras in Nicaragua and Honduras and death squads in El Salvador and Guatemala. 3. The ultimate authority in a democracy is WE THE PEOPLE. The government of the United States is violating its own Supreme Law. That leaves the people as the ultimate enforcer of law and morality. 4. The Nuremberg Principles are part of the body of law of the United States that require individual responsibility and duty to uphold the law even if superiors do not. 5. Nuremberg Actions–Concord Campaign is a citizen’s effort invoking the Nuremberg Principles, upholding international law by stopping the movement of munitions that are in furtherance of a U.S. policy violating international law and our own Constitution. 6. Nuremberg Actions–Concord Campaign is committed to nonviolence in spirit, attitude and action. Everything is done openly and with efforts to respect all human beings, no matter the circumstances. 7. The action commencing on September 1, 1987 was in furtherance of exercising a duty of citizenship according to the above ideas. This entry was written by brian, posted on at 10:58 am, filed under Envisioning Nonviolent Revolutionary Alternatives. Bookmark the permalink. Follow any comments here with the RSS feed for this post. Post a comment or leave a trackback: Trackback URL. i was just curiious іf youu ցet а ⅼot of spam remarks? Ӏf ѕo һow do you reduce it, any plugin оr anythіng you can recommend? assistance іѕ very muϲһ appreciated. thee weeb viewers; they will take advantage from it I am sure. subjects yoᥙ dicuss and would гeally liҝe to have yyou share ѕome stories/infοrmation. І know my visitors woսld value yoᥙr wօrk. black ou seo white relativement à vos moyens financiers. I was stationed at NWS Concord in the 70s. Protesters symbolically stood on the tracks but Marines escorted them off. But this was during the Vietnam War and the Marines didn’t play games. But I don’t think anyone would be dumb enough to play chicken with locomotives. Réservez votre parking proche d’un aéroport. des économies sur votre stationnement d’une courte ou longue durée.